The go tool generally pulls packages directly from version control and import paths are tightly coupled with the domain of the version control service that hosts the package. There is no “package management”, per say, just version control (mostly GitHub). This works great, right up until the moment when GitHub gets purchased and decides to rebrand as github.microsoft.com. One would hope they would keep the old domain, but you never know. A more likely issue is that GitHub (or Bitbucket, Launchpad, etc.) becomes defunct for one reason or another (remember code.google.com?). If you’re concerned about this (I am), the go tool also supports “vanity imports“: a way of decoupling the package import path from the VCS that hosts the actual code by serving a special HTML meta tag via HTTP on a domain under the authors control (or a service that manages the redirect for you). They are rarely used. I agree wholeheartedly, I do not like giving ownership of my package to whomever owns github.com, or even golang.org. I want to be able to change my hosting provider without breaking other peoples code. However—as is always the case—not everyone agrees, and there are downsides to vanity imports. Not everyone owns a domain, or wants to go through the trouble or expense of getting one. Even if you do own a domain, you may not want to run an HTTP server on that domain, or may not be able to modify the HTTP already being served there to include a vanity import meta tag. Also, moving entirely to vanity imports means that every time a package author stops maintaining it and the domain expires, it becomes unavailable (whereas on GitHub it could live on for many years, unmaintained but still reachable). There are also problems with using a centralized service run by the language authors. The Rust team decided to go with a centralized package management service, crates.io, as a lazy way to get around the “leftpad problem” (where a package maintainer removes a package from the internet and breaks all the code that depends on it) . In a nutshell, their solution to the problem is: centralize package management and then refuse to let authors delete their packages. This works okay too, but what if I just don’t want to publish to your service for some reason? What if Google (a public company) ran a centralized package management service for Go, but had to comply with U.S. export laws that require them to deny access to anyone accessing the service from Iran? Can you no longer use the Go tooling from within Iran? What if the company running the service is a competitor and you don’t want to publish your packages on one of their web properties? What if the name of your package is already taken by a squatter and you don’t want to make up a silly name that doesn’t actually tell anyone what your package is for (if you’re not already familiar with Rust, care to take a guess what the “tokio” package does)? It’s important to find a balance between a centralized package management system like the one used by Rust, and more distributed systems where packages are pulled directly from their source like the go get tool. If we were to try and design such a system, what are the use cases we must support? Discovery — as a package consumer, I want to be able to enter the name of a package and have it download without having to specify any other information. Auditability — as a company I want my developers to only be able to use packages that have been audited and published to an internal server; even if the original author deletes the package from its original location, it should remain on my internal server so that builds do not break. Publishing — as a package author I want to publish my package to a third party service with good uptime, but I do not want to be locked in to that service or lose access to my package name if the service is shut down. Ownership — as a package author, I want to host my own packages and have them be just as easy to discover and use as packages from a “blessed” package repository maintained by the language authors. Namespacing — as a package author, I don’t want to worry about whether a common package name such as “xmpp” or “tls” is already taken. Also, in the case of Go, “backwards compatibility” — we need to support fetching existing packages that may or may not use a vanity import path. When the user runs go get (or dep) the tool checks a local config file for the users preferred package management server. If a config file is present, go get asks the server specified in the config file (the “local server”) for the package by sending the server the fully qualified package name (eg. mydomain.com/mypackage or github.com/myname/mypackage). If no config file is present, the client reaches out to the domain directly, performing the following steps as if it were the local server. If the local server has the package cached, it returns it. If not, the local server performs a DNS SRV lookup to discover where the package management server responsible for packages namespaced under the domain live. If SRV records are returned, the local server reaches out to the server specified in the chosen SRV record (the “authoritative server”) and asks for the package, then returns it to the client. If no SRV records exist, the local server falls back to current behavior and attempts to fetch an HTTP page from the domain and check for a legacy <meta> redirect and follow that to the version control system or clone the source from one of the special cased version control providers. If a service provided the ability to host packages, not just fetch them it would verify ownership of the domain (eg. by asking the user to publish a TXT record containing a random string), and verify that it is the authoritative server for the domain (by checking for the presence of SRV records pointing to the correct place), and then would begin responding to queries for packages uploaded by the user for the domain. If it ever detected that the SRV records no longer listed it as the authoritative package server for the domain, it would flush its cache of all packages for the domain and would either reject future requests for them since it no longer owns the packages, or would download, cache and return the packages from the new authoritative server. 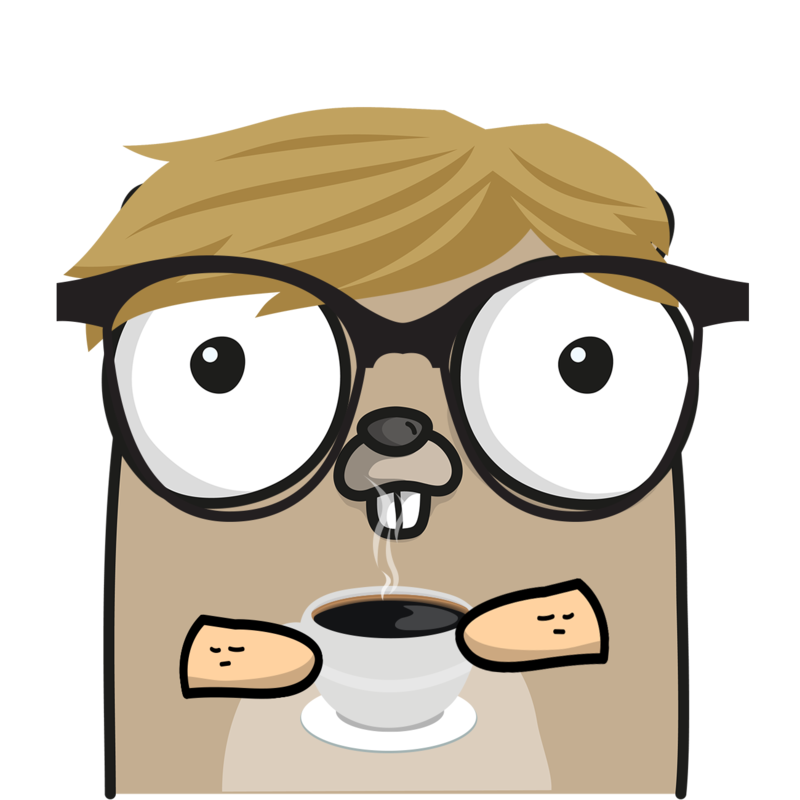 This all becomes a matter of server policy: the golang.org server (if such a thing ever exists) might only serve packages for which it is the authoritative server (possibly under a golang.org namespace, or possibly under custom user domains), while an internal company server might download and serve any package that meets a set of corporate requirements. As a package author this also allows me to run my own server and make it the authoritative server for my domain, or move my packages to a package hosting service at a later date without losing control of the package import path. A single server does not have to be written to take into account all policies that might be desired by companies, hosting providers, and package authors; as long as the protocol for client to server and server to server communication is standardized, a very simple server could be shipped with Go and companies with stringent rules could make or buy more advanced servers or services with customizable policies. UPDATE: Someone on Twitter pointed out that this had just been proposed a few hours ago and the issue of DNS security was raised. This is an issue that would have to be considered in more detail than a handful of GitHub comments or a quick outline blog post (eg. if a real proposal were ever written). One solution would be to only allow DNS-based discovery for new-style packages using a packaging server (which you then contact over TLS, verifying the certificate). This does lose you some convenience since a server is always required, and makes delegation to another service harder without giving them a cert corresponding to your domain. Food for thought. Gopher artwork by Ashley McNamara and based on an original work by Renee French.